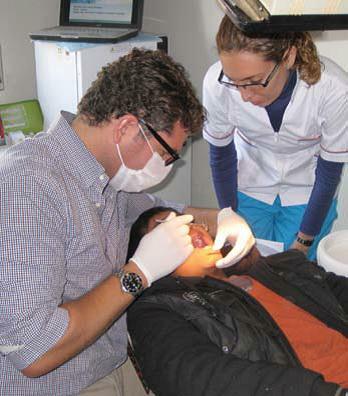 In 2011, Dr. Bruno Vendittelli of Forest Hill Orthodontics visited Tucumán, Argentina to provide guidance and training for Fundación Gavina, a centre providing multidisciplinary cleft rehabilitation in Northern Argentina, and Eva Perón Santiago del Estero Hospital (CEPSI). He also assessed patients in need of bone grafts and treated complicated teeth placement issues. Having heard about our charity through Cindy Guernsey, a TF board member and Program Coordinator in the Cleft Lip and Palate Program at the Hospital for Sick Children, he began volunteering with us in 2004. On his first trip, he visited Argentina and Peru and both were small projects with dedicated volunteers. “They’ve done wonders over the last eight years,” he added. An important part of our core mission is to build the capacity of local organizations. By promoting peer exchange and mentoring opportunities, we seek to enhance the quality of care that is being provided to children with cleft lip and palate (CLP). For more on our work in Argentina, click here or check out the video of Dr. Venditelli’s trip below.